Did you think I'd crumble? Did you think I'd lay down and die? Oh no, not I. I will survive. - Gloria Gaynor, "I will Survive". I am helping to organize a launch meeting for our new Performance Management process and we need to stand up a website. I studied Sociology and Psychology and finally Human Resource Management with a natural penchant for Abstract Mathematics. My skills don't extend into HTML - in 2002 we didn't have SquareSpace - At Merck we were lucky we had Internet Explorer installed. I was invited to go talk to this guy in IT about creating a website for the event. For reasons I will describe, I'll never forget this meeting. To protect his identity I will call him "Stan". I get to Stan's desk area/cube. First, I see this row of stuffed animals. Let me just stop here and provide context. At Merck, at this time, we wore suits and ties to work every day – presumably in case a member of Congress, a foreign dignitary or a nobel laureate just stopped into the office. We were East Coast Pharma. We were a 100 year old organization and one of the most productive research institutions in the world. In our minds, we saved lives and we put billions of dollars in the economy, and we proud of both - we were buttoned up. Guys like me wore single-breasted jackets. If you were at the top your suit was double, maybe triple breasted. I don't recall what Stan was wearing precisely, but by the row of stuffed animals on his desk, I knew this guy was a strange animal. I was curious how Stan got away with this. Stan told me to come in, pull up a chair and sit down. I sat next to him in his cubicle, side by side staring at a couple of computer monitors, stuffed animals behind me. He had at least three computer boxes. He asked, “what do you want ?” As I recall, at the same time I was speaking he was typing in HTML, occasionally with diversions to chat while he kept typing. With swift keyboard strokes he would move seamlessly between computers, moving things from a design environment, to test, to production. Somewhere in this exchange I thought, "I don't care about the stuffed animals, this guy is pretty cool." I thought in my mind - if I ever go start a company this is the first guy I would take. For fear of losing access to him I told no one else about this. I don't know if I actually ever said this to Stan directly. Time went on, and Stan and I went on our separate ways. A few times after I left Merck I tried to engage Stan in projects I had going, but it has never worked out. I don't know if he kept up with changing technology or not. I share the story about “Stan” because it makes what I am going to say about Excel just a little more vivid: “most of us have used Excel; some of us use it differently.” I want you to understand the degree to which I understand, appreciate (and even love) Excel before I describe why it may be the most dangerous business application of all time. This story about Stan with HTML foreshadowed how I would some day use Excel. It didn't come easy. Nobody taught me how to work with HR data in Excel. The way I use Excel is different than most people I have ever observed working in Excel. Granted I got there somewhere after spending over 10,000 hours on it over 15 years. I sit sheets like data stores, with pivot tables that feed into lists that other tables sit on, and lookup functions that move data around, transform it into whatever I need it to be, that feed into downstream analysis, and finally, charts. I have figured out how to do multidimensional reporting in Excel. I work data through recursive algorithms in Excel. I use add-ons to run a variety of statistics. I take the charts provided in Excel and strip them down to the bones, rebuilding them into something beautiful, apparently never imagined by Microsoft. When I am working with Excel, I often don't even see the detail of the data – at times I might as well be operating in another dimension. Having said all this, I'm sure there are people who have even more advanced Excel skills than myself. I'm not saying I'm the greatest - simply that there are differences between how people use Excel, so when we talk about Excel it is important to keep this in mind. Excel can be a very powerful application. There was a time at Google where I was working with employee data in Excel and developing ways to run out reports by all segments we had in the data. I had spent probably 150 hours working iterating report trials off this dataset over several weeks. I started on the Google bus on the way into the office as I travelled from Berkeley to Mountain View, worked all day at Mountain View, stopping only for food and coffee, then continued working on the Google bus on the way home at night, collapsing into bed when I arrived, and starting over again the next day. At one point, while working with the structure of the data, reaching that point just before it was ready to share and it was like the sun rising on a very dark night. In some way it was like seeing God. That or I had reached the ceiling for caffeine consumption - one or the other. If I did not see God at the very least experienced what it must be like to see pure truth. The best example I can provide of what this is like, it is like standing on the edge of the Grand Canyon or an ocean or looking at the stars in complete darkness on a crystal clear night. I have not since recreated a feeling this vivid at work - apparently I lost track of the specific Excel function for this :-) - but what remains with me today is an appreciation that there is a truth encapsulated in data and a beauty in its mathematical structure, which also happens to be powerful. If you spend enough time in it, you might see it. The way that Excel is different from most other applications for working with data is that in Excel, you can actually directly see the data you are working with. I love my friend excel, but I'm about to shake his hand and then pummel him. The main argument against Excel has been that the things that make Excel great are also its biggest downside. For starters, while it is incredibly easy to get started making spreadsheets, it’s also incredibly easy to make mistakes that cost companies millions (or billions) of dollars. In 2008, University of Hawai’i professor Raymond Panko published a summary of 13 field audits that checked spreadsheets used in ‘real-world’ environments. His analysis found that a whopping 88% of the spreadsheets had errors! One problem is that since everybody has at least some knowledge of how to use Excel, many people misjudge their own expertise, as well as that of others. This is different from when how we hire and judge software developers. Business managers don't know that there is a problem (actually, lots of problems) with spreadsheets, while IT regards spreadsheets as falling outside its jurisdiction. So spreadsheet management falls into a black hole. While Excel the program is reasonably robust, the spreadsheets that people create with Excel are fragile. There is no way to trace where the data came from, when, and what was done to. The biggest problem is that anyone can create Excel spreadsheets—badly. Because it’s so easy to use, the creation of even important spreadsheets is not restricted to people who understand programming and do it in a methodical, documented way. 2012, London, "The London Whale"
The problems of Excel apply to anything and anyone who’s working with data in Excel, not just HR. Here is a description of the particularly high impact example at JP Morgan: Microsoft Excel Might Be The Most Dangerous Software on the Planet. The explanation in English: someone at JP Morgan was running bets (to the tune of tens of billions of dollars) in Excel and there was an error. There may have been other negligence or nefariousness going on as well, but I found the most outrageous part of the story that this sophisticated derivate work was completed in Excel in the first place. Stupefying actually. At the time I was getting paid 1000 times less money to do similar work in Human Resources- you have to ask yourself, "Maybe I should have considered a different profession?" "I could totally screw up derivatives, maybe even 1/3 as bad as this "whale guy". Difficulty documenting workflow, process audit trail. Difficulty with dependence - difficulty transitioning spreadsheets from one person to the next. Stale data and/or constant rework as a result of stale data. Difficult to see the real cost of manual work in Excel being performed across the organization. Very few people know that between the time that I worked at Children’s Medical in Dallas and started my own consulting company, two and a half years prior to joining One Model, I worked for a technology company in Austin. Let’s call them AcmeTech. AcmeTech lured me from a children’s hospital in Dallas with higher pay, better benefits, a well stocked micro kitchen, free lunch on Fridays and a ping pong table. I felt bad leaving the children. Little did I know at the time, as a result of this decision I was going to hell. When I interviewed with AcmeTech I described the important analytical work I had done in HR at Merck, PetSmart, Google and even at a very modestly funded non profit children’s hospital. The emphasis of this work was in automating analytical workflow AND then spending my time in more sophisticated and high value analysis like exit prediction models. I thought we were on the same page. Well, I started with ACMETech and soon learned that this, in fact, we were not on the same page. This is my problem: somehow I had gone from at one point of the time one of the most brilliant People Analytics teams in the world to now something slightly above “human cog” in a car headed to nowhere, driving off a cliff. There was not much value in these reports as produced, relative to other work we could be completing on behalf of the organization. The incredible waste of time and money in this approach - not to mention life effort. The way we were running these reports were affecting the quality of experience for the recipients of the reports. I knew there were better ways that would save ACMETech HR time, money and credibility that could be put in place very quickly. My mind just didn’t work the way we were running these reports - I could operate more effectively in other capacities. At the end of the day I went back and said, “You hired me for my expertise, there is a better way.” The reply was, “Do it our way or leave”. My reply, “o.k. then”. That’s when I decided to go start my own company. I wanted to work with people who really wanted to work with me, or not at all. I acknowledge that ACMETech HR can choose to do whatever ACMETech HR wants to do and that is fine, but if you look at what they were spending each year on headcount, turnover and hire reports for their organization it was at least $500,000 and if you calculate that over 5 years they have spent at least 2.5 million for a very basic reporting framework - without any real semblance of advanced analytics we know as People Analytics and full of holes. This, my friends, is why Excel in HR is dangerous, and a great case study for why you should consider an alternative solution for analysis and reporting! There are a variety of options today, One of which is One Model - which in full disclosure I recently joined - I'm a little biased. Other options are out there: seeWhat Your HR Analytics Technology Sales Rep Doesn't Want You to Know. You can find more posts like this and other helpful People Analytics related resources on my Misc- People Analytics blog roll. 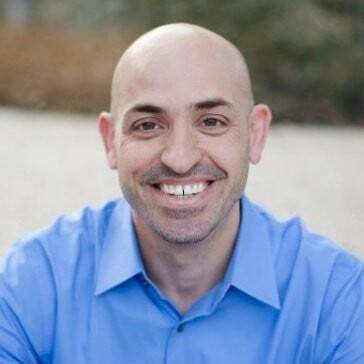 Mike has 15 years of experience building People Analytics from the ground up as an employee at the founding of Merck HR Decision Support, PetSmart Talent Analytics, Google People Analytics, Children's Medical (Dallas) HR Analytics, andPeopleAnalyst - the first People Analytics design firm - working with Jawbone, Otsuka and several People Analytics technology start-ups. Mike is currently the VP of Product Strategy for One Model - the first cloud data warehouse platform designed for People Analytics. Mike's passion is figuring out how to create an analysis strategy for difficult HR problems. I’m putting together a series of live group webinars where I will be revealing a process for dramatically increasing probability of success of People Analytics - building on a career of success and failures (Merck, PetSmart, Google, Otsuka, Children's Medical Dallas and Jawbone) - and applying new ideas I have developed over the last few years applying ideas from Lean to People Analytics. The goal of this webinar series is to engage a select group of qualified early adopters, who have access to an organization, are willing to apply the process, report back how things are going, and work out the bugs out together. This group will have opportunity to share their findings with the broader People Analytics and HR community, if you choose. And if you know anyone else who you think would, please let them know too! Mike West is a founding member of the first People Analytics teams at Merck, PetSmart, Google, Children's Health (Dallas), Jawbone, and Pure Storage. Mike can currently be found writing the People Analytics for Dummies Book for Wiley, designing tools for data workflow, analysis, modeling & decision support for Headcount and Compensation Planning, and I spends his free time in the triangle of Austin (TX), San Francisco (CA) and Springfield (MO). Why you should consider joining a people analytics peer group.